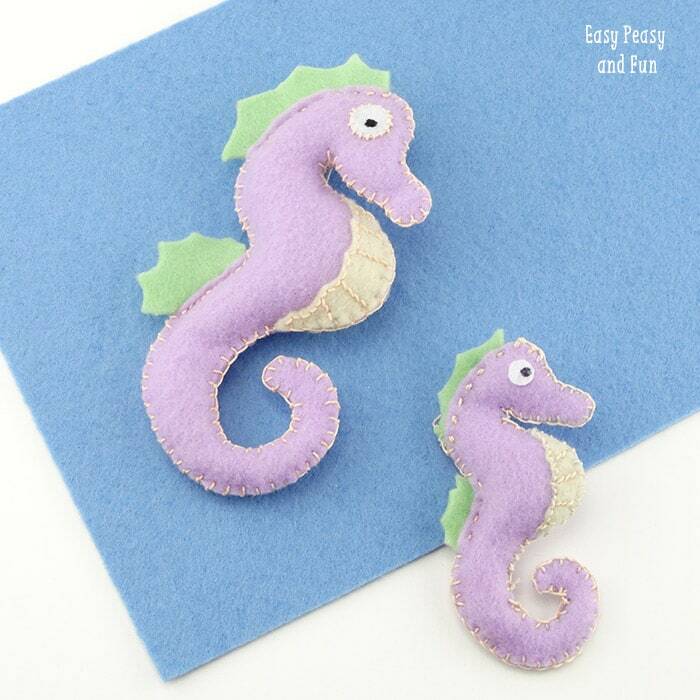 You can make these little plush lovelies quite easily – just follow this felt seahorse tutorial! 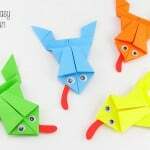 You can make a lovely toy for your little one, use it to make a baby mobile, key chain or just a cute decorative item! 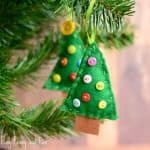 First I’d like to say that I am in no way a sewing master – as you’ll notice by my stitching so this little project is perfect for beginners! Print and cut the template. I made this template in two sizes and even added fins for the more skilled of you. 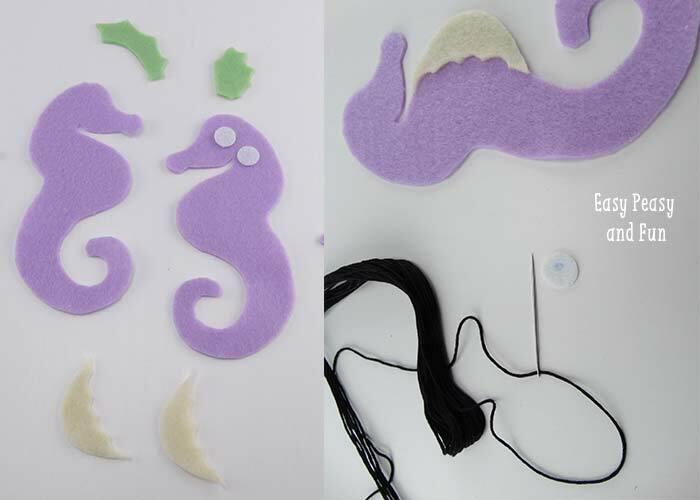 Trace the shapes onto felt and cut it – cut the body, eyes and belly twice (and fins). When you’ve cut everything it’s time to get sewing. 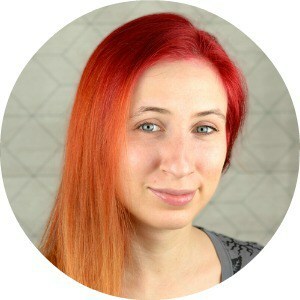 Let’s start with the eyes – you can either cut the black dot from felt use black thread to sew the round shape like I did. 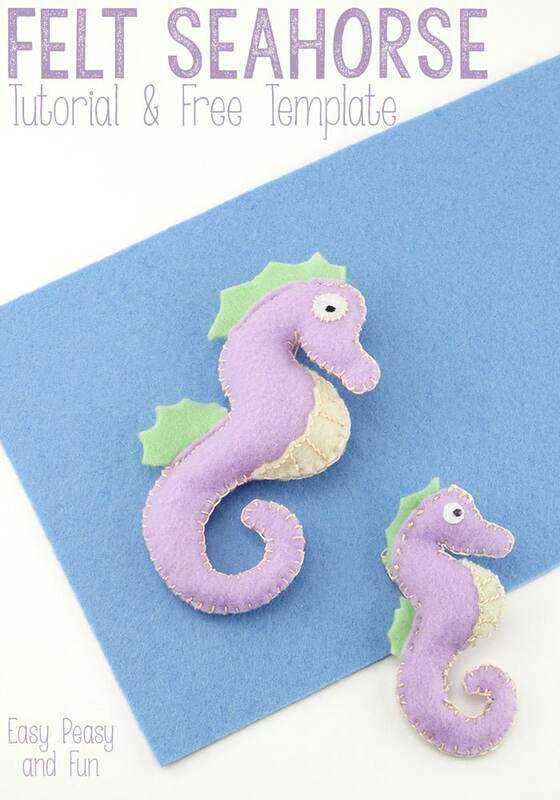 For things to go smoothly I suggest you glue the parts you’ll be sewing (eyes, belly, dorsal fins) – either with fabric glue or white school glue (just don’t add to much and don’t press it down). 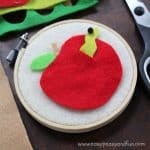 There are many different sewing techniques you can use to do that – as there are a ton of lovely looking decorative stitching techniques perfect for the job. This Youtube video shows some of the techniques and it explains them far better than I ever could so it’s a must see for beginners! Once you’ve chosen your stitching technique it’s time to start working on the belly and the eyes! All done? Let’s finish up this lovely sucker! 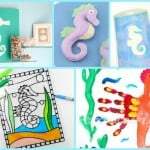 Blanket stitch it is – all around! Use the stuffing as you go as it will be hard to stuff the head part or the tail part at the end. 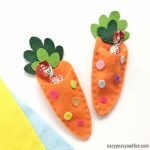 If you’re new to all this you’ll want to watch this video showing how to do a blanket stitch! 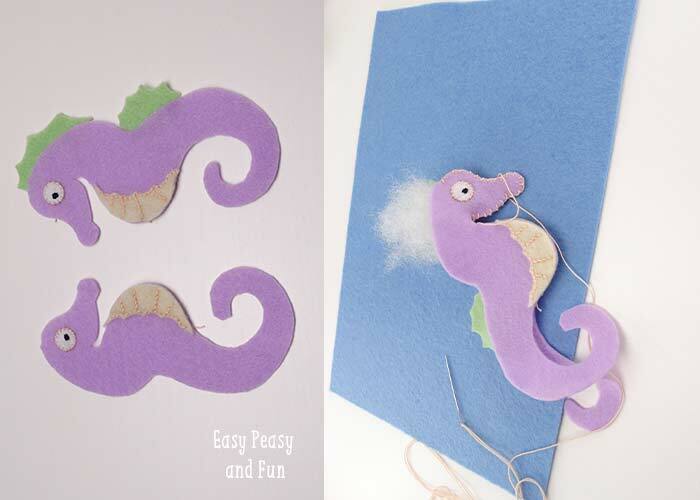 Hope you liked this felt seahorse tutorial (and liked the template)! How cool! 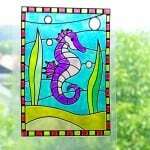 I’d love to try making one!